Johnny Cash sang about a ring of fire but in this class we will make several rings using basic soldering techniques. 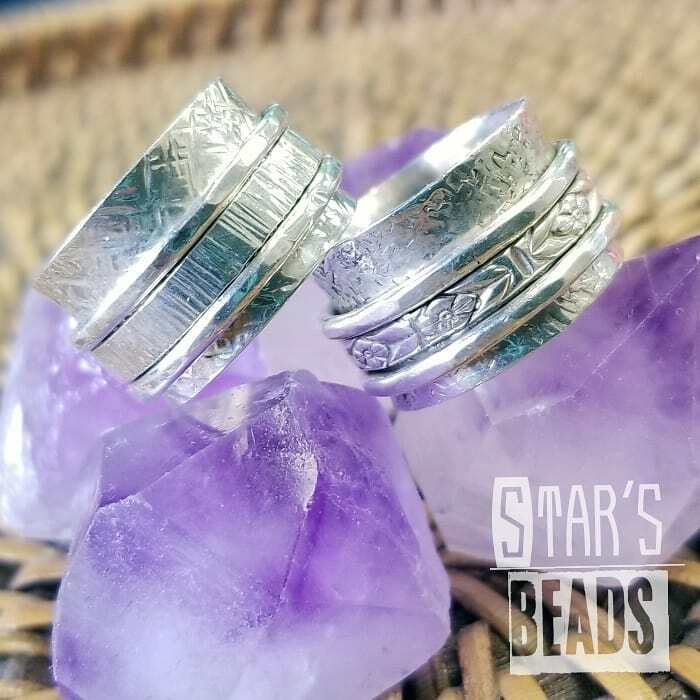 You will become familiar with the torch, silver solder, flux and a variety of other tools to create stackable rings, earrings or a bracelet from sterling silver wire. *If you have taken previous classes, you can also use this as an open studio so you have all the tools plus instruction! *This is the perfect class to get you prepared for next week’s spinner ring! $30* supply fee, payable to instructor on day of class. 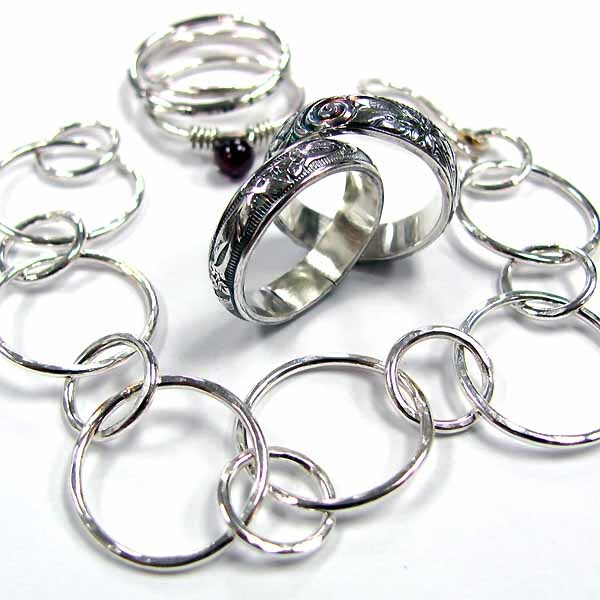 Together we will create a spinner ring handcrafted from sterling silver sheet and sterling, copper and or bronze wire. These wire bands spin freely around a textured sterling silver band. The ring, also called a prayer or worry ring, is based on the ancient Tibetan Prayer Wheel. It is said this ring brings the wearer good luck and fortune, a sense of serenity and peace, and rids the wearer of anxiety and worry. However you chose to think of it, you just won’t be able to resit playing with these fun rings! Soldering I or equivalent experience REQUIRED. Supply fee of $40.00, payable to instructor on day of class (cash or check). Instructor will supply everything necessary to complete this class. However, if you want to avoid waiting for a tool you can bring any of the following items or request a tools kit (approx $150). $40* supply fee, payable to instructor on day of class.